A new book has arrived on the scene that needs to be part of any Buccaneer fan’s collection. Lee Roy Selmon is so far away the greatest Buccaneer on and off the field and his passing in 2011 was one of the sadest days I have known. And reading this book brought it all back again as it is written by his widow Claybra. This is not a year-by-year account of Lee Roy’s career in Tampa and nor should it be. This is the story of their life together, how they met in Oklahoma, moving to Tampa and raising a family. 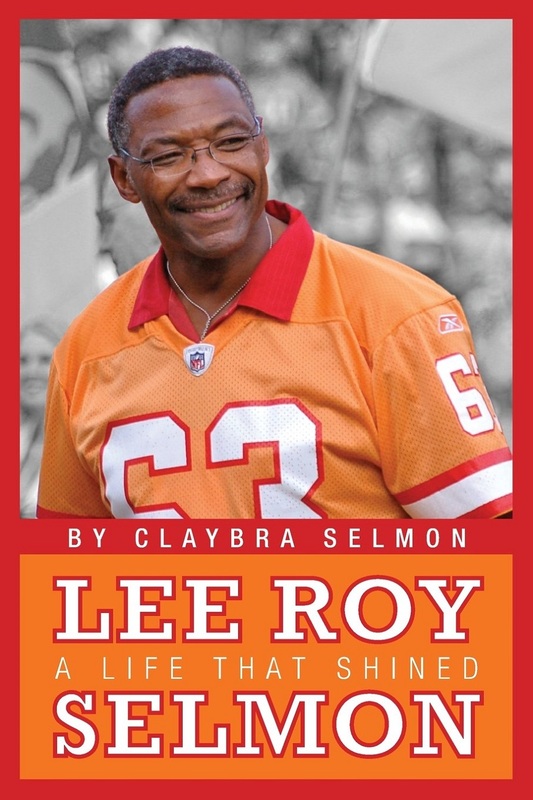 The book tells the story of Lee Roy’s life after football and then the sad days around his passing. There are sections by Lee Roy’s children and what Claybra and the family have been doing in recent years along with comments, thoughts and observations by many former colleagues on and off the field. I had the privilege of meeting Lee Roy and Claybra on several occasions in 2009 after they came with the Bucs to London for the International Series game. When I finally met the great man for the first time, his first comment was “I’ve always wanted to meet you”. Not the other way round? That was Lee Roy, kind, generous and unassuming to a fault. We met again at a private dinner at One Buc Place with many of his former team-mates and spent time filling in the gaps in the history of London for the two of them on their return from the English capital.